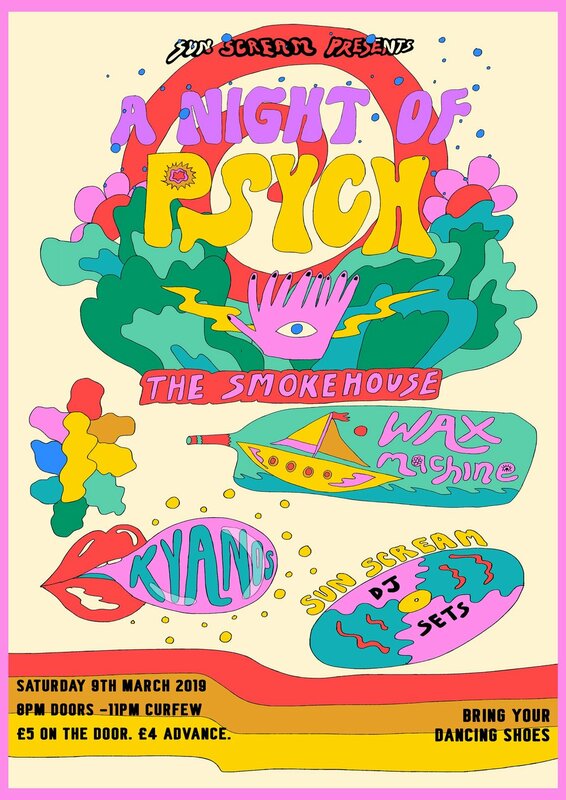 Sun Scream Presents: a THIRD Night of Psych with Wax Machine KYANOS, and Sun Scream djing vinyl throughout the night! Come along for a vibey night of psychedelia and wavy tunes. Tickets are £5 on the door or £4 in advance! The Smokehouse is a 14+ venue so bring ID to get served on the bar!